The description of Ayat - al quran: Ayat : al quran : ksu electronic mosshaf project. Features :viewing scanned(soft) copy of real printed mosshaf. Providing copy of mosshaf al madina copy of mosshaf al tajweed (colored according to tajweed rules) and copy of mosshaf warsh (rewayat warsh an nafei 39 ). Al quran recitations by many famous reciters (two of them are by rewayat warsh an nafei 39 ). 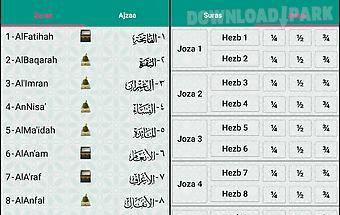 Repeating each aya as many times as desired with time interval in between. Search through al quran text. Direct browsing the mosshaf by sura aya(chapter verse) juz(part) or page number. Six arabic tafsir(commentary) al saa 39 di ibn katheer al baghawy al qortoby al tabary and al waseet . One english tafsir(commentary) tafheem al quran by al maududi . 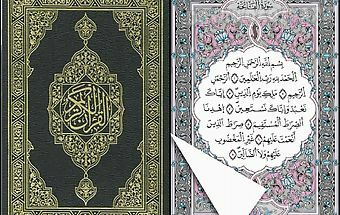 E 39 rab(grammar) al quran by qasim da 39 aas. 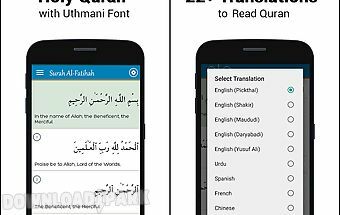 Text translation of the a quran meanings for more than 20 languages. 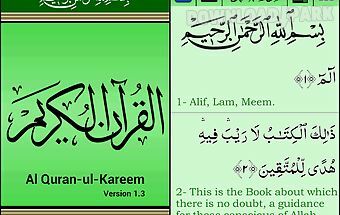 Voice translation of the al quran meanings for two languages (english and urdu)..
Surat al kursi verse turkish pronunciationturkish translationarabiclistening to voicecounterapplication allah cc. Made for the sake of. Such as advertising etc. 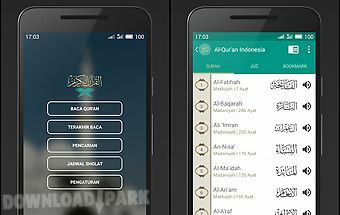 Each inn..
Al quran: a fantastic reading experience that will keep you in track to finish reading quran and to share your progress. 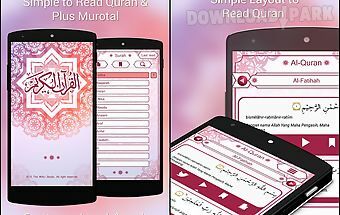 Application has been programmed to function inte..
we start expressing our heartfelt gratitude to allah almighty and exalted to grant us such opportunity to develop an android apps of the holy al quran in bangla. 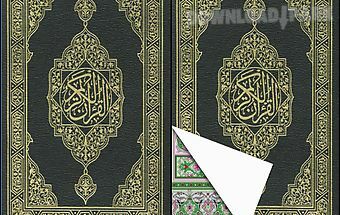 We tri..
Descriptionkeep the most beautiful book holy quran ( ) in your pocket. Read it anywhere any time on your android phone or tablet. Use rich featured holy quran applicatio..
Quran reading wishes you all a very happy and blessed ramadan 2016quran reading is an android app which comprises the entire quran e kareem with translation transliterat..
Quran for all is the perfect app to help you explore a vast treasure of audio visual resources on islam qur 39 an hadith and associated subjects. Easy navigation through..